Besides all the skiing during winter, Briançon offers even more exciting things to do during the summer months. 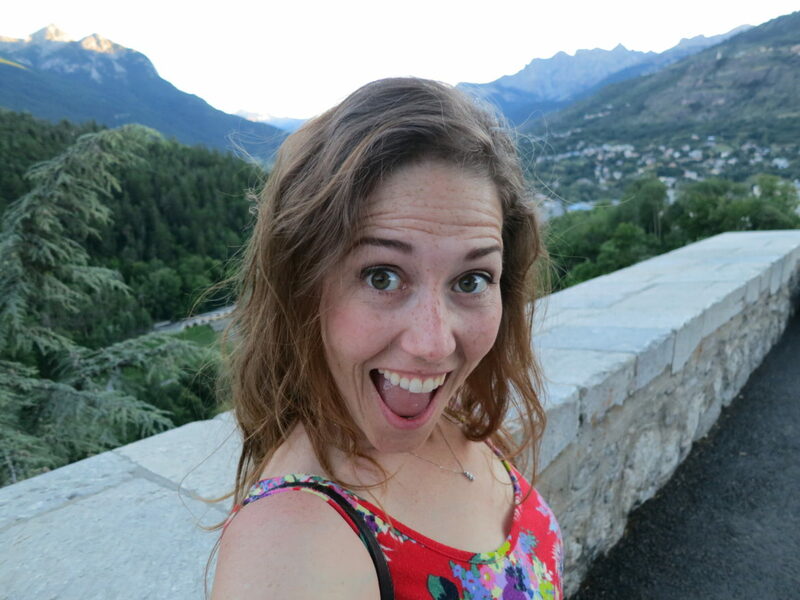 There’s of course hiking and biking, but how about doing something less expected in the French Alps? Briançon is 13km directly west of the Italian boarder, Claviere being the last Italian city you pass before you start speaking French. It’s 3 hours south of Chamonix and 2 hours southeast of Grenoble, so add Briançon to the list next time you’re near by. According to Wikipedia it’s the tallest ‘city’ in Europe and for sure in France. At 1,326 meters tall there are things that can keep you busy for days! I wasn’t sure what to expect from this 13th Century city with 12 UNESCO World Heritage sites (Fortifications of Vauban). Would it be boring? Would there only be the old walls to check out? One night turned into two and now my husband and I are hoping to go back this winter. 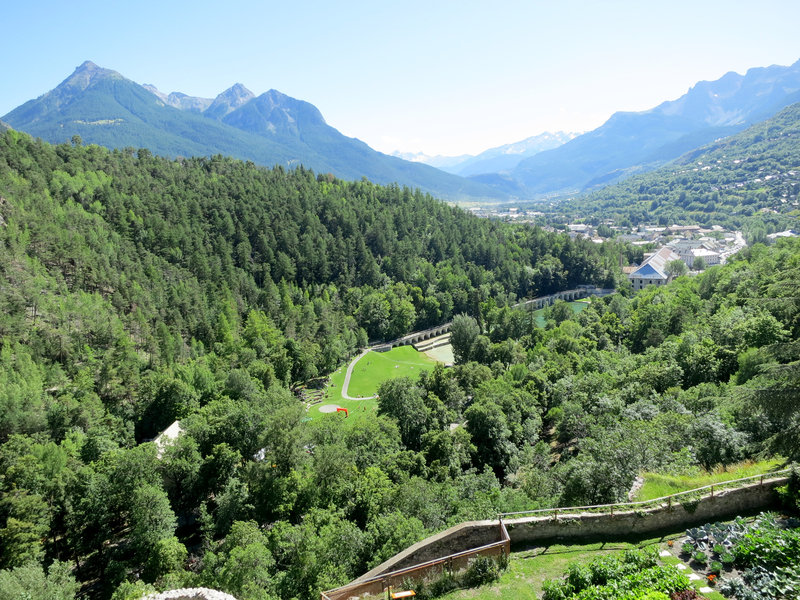 Let’s start with the magical forest tucked away next to the medieval part of Briançon in Schappe Park. They have enough going on to keep any family busy all day from July to September… activities also seemed very popular for couples and singles. The Acrobatic Course looks like a huge Outward Bound training facility (if such a thing exists). There are endless ropes distributed throughout the forest that you can swing on, walk on and slide down. There’s also an Orientation Course within this massive jungle of an acrobatic course that involves heights, wooden planks and thin ropes. For those younger than 12 there’s also Junior golf. Via Ferrata appears to be rock climbing, from entry to advanced levels. If you haven’t read my bungee jumping post then you may not know that I’ve actually done this (watch the video)! The jump was 60 meters off Asfeld Bridge and it was the most memorable 60 meters of my life. This is one activity that I highly recommend! There’s no shortage of sports that will soak you with cold river water. 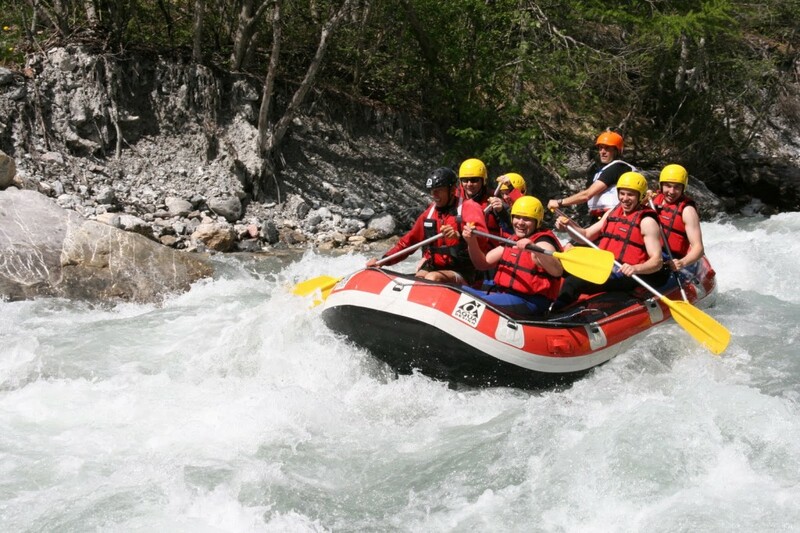 The Durance and Guisane rivers offer up kayaking, canyoning and white water rafting. Prices start at 19€ for kids and just 25€ for adults. 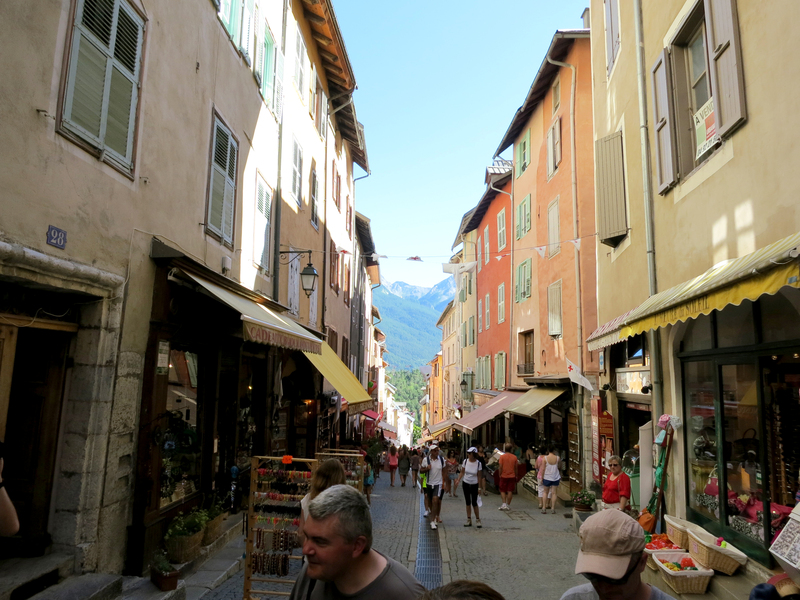 There are two companies that I found while in Briançon: Eau Eigine and Rafting Experience. This indoor facility has more than just 2 squash courts. There’s a golf simulator, indoor driving range, badminton courts, sports boutique and club house. If you’re in the mood to wear your Lacoste and stay inside then spend a day here. This was one of the reasons why I surprised my husband with a trip to Briançon for his birthday. Casinos are illegal in most of Italy, so this is the closest one to the Italian border from Sestriere (where we’re spending the summer). The dealers were fun and all spoke perfect Italian and French plus some English. We played at the Blackjack table for a few hours. There’s also slots and Roulette to try your luck at. There’s a small bar inside the casino, plus a large restaurant in the same complex. It’s easy to get to and always seems to have some kind of event going on. MORE INFO: Visit Serre Chevalier Valleé’s site, Facebook in French or English, plus Twitter for more info and tips. Serre Chevalier is the massive ski resort area that’s comprised of Briançon and three adjoining villages. They helped me out with transportation tips, so feel free to reach out to them! Keep in mind we didn’t have a car, so everything is walking distance. What activity would you most likely do?